Are you brave enough to venture north of the ditch? Located in the Edgeville jail, Krystilia is a new slayer master who assigns wilderness-only Slayer tasks. There are no requirements to receive assignments from Krystilia. Assignments from Kyrstilia have a separate task completion counter to standard assignments. All assignments from Krystilia can be replaced by Turael in Burthorpe if you do not wish to complete it. Doing this will reset your Wilderness task completion counter. These tasks must be completed within the Wilderness - creatures elsewhere will not count towards your assignment. 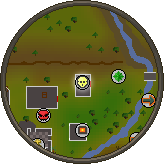 Any task-only bonuses, such as those of the black mask, will only apply to creatures found within the Wilderness. Completing a Wilderness assignment is no small feat - and you'll be rewarded accordingly. After completing 5 Wilderness tasks, you will receive 25 Slayer Points per completed assignment. On top of a generous amount of Slayer Points, you'll also have a chance of receiving additional drops while on Wilderness assignments. While killing any monster you've been assigned to slay by Krystilia, you will have a chance of receiving a Slayer's Enchantment drop. This can be used on a Slayer's Staff to create an Enchanted Slayer's Staff. The Enchanted Slayer's Staff requires level 75 Magic and level 55 Slayer to equip. When using Magic Dart with this staff equipped, the spell deals substantially higher damage when cast on a monster which you have been assigned as a Slayer task. The Enchanted Slayer's Staff has 2,500 charges after being created, with one charge being consumed with every successful cast of Magic Dart against a creature you have been assigned. Once the staff runs out of charges, it will revert to a standard Slayer's Staff. The Slayer's Enchantment is tradeable, but the Enchanted Slayer's Staff is not. Much like the Slayer's Enchantment, when killing a creature assigned by Krystilia you will also have a chance of receiving a Tier 1 Mysterious Emblem. It is possible to receive this drop on any world, including Deadman worlds. For your 100th consecutive Slayer task, you will receive 25x the regular points from the Slayer Master who assigned the task. For your 250th consecutive Slayer task, you will receive 35x the regular points from the Slayer Master who assigned the task. For your 1000th consecutive Slayer task, you will receive 50x the regular points from the Slayer Master who assigned the task. Please note: Krystilia's Wilderness Slayer tasks use a separate counter to assignments from other Slayer Masters. The market prices of a number of items have been adjusted to be more accurate. The mummy in Pyramid Plunder will no longer attack players who did not awaken it. The Equipped icon for the Dragon Defender (t) has been adjusted so it does not clip the slot border. 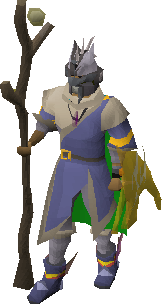 Using a Bandos Godsword Special attack on Tekton now has a similar effect to the Dragon Warhammer: the minimum defence drained is now 10, even if you hit a 0. The sound made by Skeletal Magi when a weakness spell is cast has been improved. The Farmer's straw hat will no longer stay visible during fairy ring travel. The climbing rocks at the entrance to the Agility Pyramid will no longer place you somewhere you cannot move. In case you missed it, on Sunday we released the RuneScape Documentary: 15 Years of Adventure! Watch it now on our YouTube channel for a trip down memory lane, and a behind the scenes look at the creation and growth of RuneScape.